Luxurious brands for all shapes, sizes and tastes. 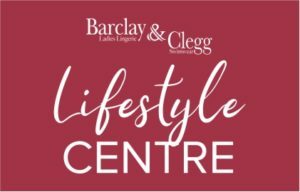 At Barclay & Clegg, you’ll be sure to find what you’re looking for, whether it’s luxurious lingerie, hosiery, sleepwear, sports underwear, accessories or even swimwear. Our stores have a wide range of lingerie on offer, including designer bras, briefs, lingerie sets, corsets and Basques. Barclay & Clegg will assist you in selecting the perfect bridal lingerie for your special day as well as everything you need for your honeymoon, whether it be sensual sleepwear or swimwear to relax on the beach with. Our selection of control underwear is an instant and reliable way of creating a desired firm appearance underneath clothing. Barclay & Clegg offers a vast range of shapes and sizes of control underwear which are specially designed to support the tummy, rear and thigh on any occasion. Maternity bras and underwear at Barclay & Clegg are carefully designed to offer maximum comfort all day long. We have a wide range of styles and sizes to make you feel confident and comfortable.